North Korea’s decision to conduct a second nuclear test this week will have significant repercussions for the future security of East Asia and the Asian region more generally. Make no mistake: the North Korean regime has an unbreakable strategic commitment to becoming an established nuclear weapons state in Asia. The sobering reality is that there is absolutely nothing the international community can do to prevent this from happening. So the fundamental question is: how should we engage North Korea as a nuclear-armed state?.. Ultimately, this is a test of the political resolve of the Obama administration and the extent to which Washington is willing to reinforce the credibility of extended deterrence in Asia. The second element of any new strategy must encompass constructive politico-security engagement with Pyongyang. This may sound like mission impossible in view of North Korea’s well established duplicity, but the temptation to further isolate North Korea in the wake of its second nuclear test must be resisted…. In dealing with an emerging nuclear state, one of the worst outcomes is deeper isolation of that country. Lines of communication must be kept open to avoid the ever present trap of misperception – pragmatism must rule over any desire to punish. Led by Washington, regional states must engage Pyongyang directly on issues relating to nuclear security and safety, including potential assistance to help safeguard against the accidental launching of nuclear weapons, and strongly pushing for a verifiable cap on the number of North Korean warheads…. The worst response to North Korea’s second test would be to try and resurrect the argument that Pyongyang can somehow be persuaded to de-link its nuclear weapons ambitions from its overall national security doctrine. The link is as “close as lips and teeth”, and persisting with the failed strategy of non-proliferation will only delay what is now inevitable: engaging North Korea as a nuclear weapons state. * Andrew O’Neil is associate professor of international relations at Flinders University. He is a chief investigator on the Australian Research Council project “Australia’s Nuclear Choices” and the author of Nuclear Proliferation in Northeast Asia: The Quest for Security (Palgrave Macmilan, New York, 2007). Северная Корея – это всегда интересно! Радиостанция "Серебряный дождь" устроила прямой эфир (26 мая, понедельник, 20:00-21:00 МСК), где разговор идёт об этой уникальной стране . * Музыкальная радиостанция "Серебряный Дождь" вещает из Москвы. Слушать эту радиостанцию можно с сайта с битрейтом 24 kbit/s здесь. Если вы живёте в городе Москва, то для прослушивания Вам достаточно настроить свой радиоприёмник на частоту 100.1 FM. А ещё у этой радиостанции есть свой сайт – http://www.silver.ru/. Надеюсь, что те, кто слушал, не остался разочарован. Ведущие Михаил Козырев и Наташа Олесик (в отличие от Собчак и Соколовой) не были связаны никакими ограничениями в отношении критики северокорейского режима и, мне показалось, постоянно пытались упростить все проблемы сведя их к личности "больного" Ким Чен-ира, "непредсказуемых" северных корейцев и т.д. Но усилиями слушателей и участвующих "экспертов" удалось создать что-то вроде объективной картины происходящего в регионе. Ведущие остались довольны, обещают ещё вернуться к северокорейской теме. North Korea executed its pointman on South Korea last year, holding him responsible for wrong predictions about Seoul’s new conservative government that has ditched a decade of engagement policy toward Pyongyang, sources said Monday. Choe Sung-chol, who as vice chairman of the North’s Asia-Pacific Peace Committee had pushed for bold reconciliation with Seoul’s previous liberal governments, disappeared from public sight early last year amid reports that he was fired. Rumors spread in January that he was forced to work at a chicken farm, but a number of sources privy to North Korean internal affairs told Yonhap News Agency that Choe was executed last year to shoulder the blame for his judgments on Seoul that proved wrong. …”North Korea sacked Choe and other figures involved in inter-Korean projects and relations,” said Lee Seung-yong, director of Good Friends, a research group with extensive contacts in the North. He said the purge focused on the United Front Department and the Korea Asia- Pacific Peace Committee, which supervised a Seoul-funded industrial estate at Kaesong, tours to the Mount Kumgang resort and other joint projects. Choe, who once enjoyed the trust of leader Kim Jong Il and helped arrange the 2007 inter-Korean summit, was vice chief of both bodies but disappeared from public view in spring last year. “North Korea launched a probe into corruption last spring. However it later escalated into a political purge as inter-Korean relations worsened,” Lee said. Lee of Good Friends cast doubt on Choe’s reported death sentence, saying there had been no word yet on his execution. Professor Kim said it was “hard to believe” Choe had been executed but he might have been sent to a re-education camp or to the countryside. South Korea’s unification ministry had no comment on the Yonhap report. May 24, 2009: It has been revealed that Choe Sung Chol, who was in charge of North Korean relations with South Korea, was fired and executed last year. The new South Korean government has reversed a policy of giving North Korea lots of goodies with no strings attached. South Korea now wants North Korea to halt developing ballistic missiles and nuclear weapons. North Korea takes this as a hostile act and an attempt to overthrow the communist police state in North Korea. Choe Sung Chol was apparently held personally responsible for the new South Korean government coming to power, and killed for this failure. 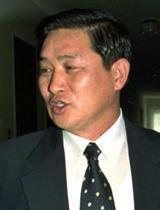 Choe Sung Chol may also been caught taking payments from South Korean corporations, and that was what he was officially charged with. Северная Корея – это всегда интересно! Радиостанция "Серебряный дождь" устроила прямой эфир (16 мая, суббота, 18:00-20:00 МСК), где разговор шёл об этой уникальной стране . Одна из ведущих радиостанции (Ксения Собчак :-)) несколько дней назад вернулась из путешествия по Северной Корее. По свидетельству очевидцев, она была более чем потрясена увиденным, о чём и поведала миру. Гостьей эфира стала журналистка Ксения Соколова, побывавшая в КНДР несколько лет назад и написавшая об этом большой очерк. Свои комментарии обещали дать известный дизайнер и «турист-профессионал» Артемий Лебедев, бывший дипломат а ныне музыкант Александр Ф. Скляр, работавший в КНДР в начале 1980-х, и даже кто-то из северокорейских беженецев. BEIJING ― The George W. Bush administration was criticized for several years for “sub-contracting”‘ the North Korean nuclear issue out to China. The U.S. turned in large measure to Beijing for the initiative in multinational negotiations, or six-party talks, hoping it would be able to goad North Korea into giving up its nuclear ambitions. But after several years, some observers are beginning to point out that Beijing “didn’t do enough” with its authority as the host of the talks, and failed to exercise its influence as virtually the only lifeline to the North. It has sparked debate on “China’s identity crisis” ― whether it’s unable or unwilling to influence North Korea. In an exclusive interview with The Korea Times, Bruce Klingner, a former CIA agent on North Korean affairs and now a senior fellow with the Heritage Foundation, said contrary to the prevalent perception, China’s influence over North Korea has proved to be limited by its own choice and called for Beijing to examine its global identity, commensurate with the expectations of the international community. He said Beijing has less influence over Pyongyang than many people think it does, and even though it declared that a nuclear North Korea was against its core national interest, it was unwilling or unable to pressure its neighbor into stopping its nuclear programs. “China also, despite its best efforts, was unable to prevent North Korea’s missile launch in 2006 and a nuclear test in the same year as well as the most recent missile launch this year,” he added. “After the nuclear test in 2006, China sent a senior-level envoy to North Korea but Kim Jong-il refused to see him. And before the missile test this year, China sent another senior envoy to North Korea, but North Korea went ahead with its missile test.” In his view, China couldn’t even get North Korea to implement Chinese-style economic reforms despite repeated inducement and urgings. – Then, how would he characterize China’s role? “I think we should more accurately and truthfully and publicly characterize China’s actions at the U.N. Security Council as ‘obstructionism,’ contrary to the consensus of the international community, as evidenced in U.N. Resolution 1718, which called for North Korea to abandon its nuclear programs in a complete, verifiable and irreversible manner. So, China, together with Russia, was obstructing efforts to enforce the U.N. resolutions. “If Beijing wants to do something, it could certainly do something right now, as some countries are floundering around, trying to find out what to do. Right now, China could step into the bridge, first by not obstructing the efforts to enforce the international law and the U.N. resolutions. But the lack of initiative by Beijing clearly undermines the assertion that China is willing,” he said. “If China has so much influence over North Korea, why is it unable to prevent a minor country across its borders from violating China’s core strategic national interest,” he questioned.